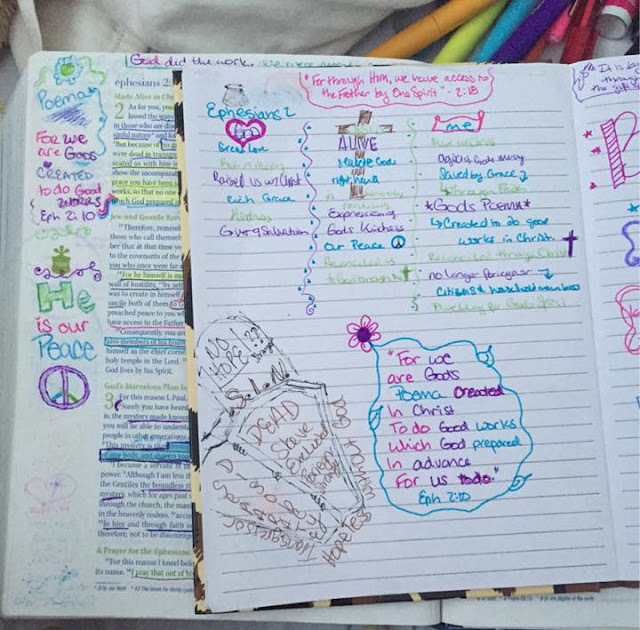 Today we get to see inside Candice's Bible journal! I love taking a peek inside other people's journals and seeing what they are doing and learning! Thanks, Candice. 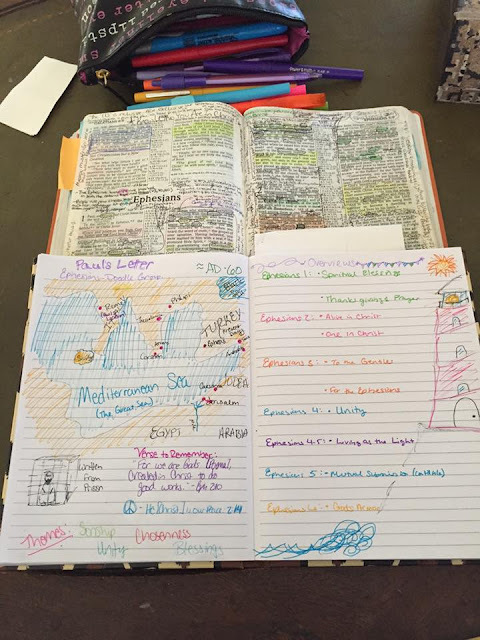 I was already doing similar things in my Bible journal, but I just loved finding a group of people who studied in a similar fashion. And having plans put together for such! It has been wonderful to go a bit deeper into the books I've studied with the Journal and Doodle studies. To have the images in my head appear on the paper, and see why God reveals through my time with Him, whether it be a conviction or an encouragement. These studies utilize the artistic heart God placed in me and speak to the deepest parts of how He created me. They are a great tool, a way to draw near to God and explore His Word for oneself. I recommend them for artists and creatives who want to liven their devotional time. 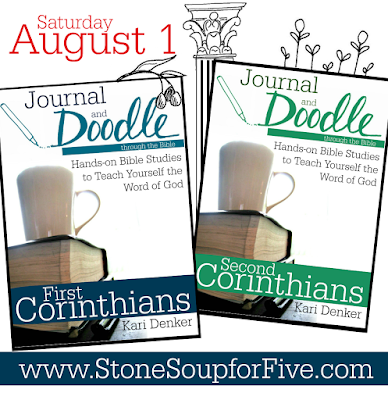 Coming this Saturday are two all new studies through 1 and 2 Corinthians in a special discounted launch week package! Don't miss out! 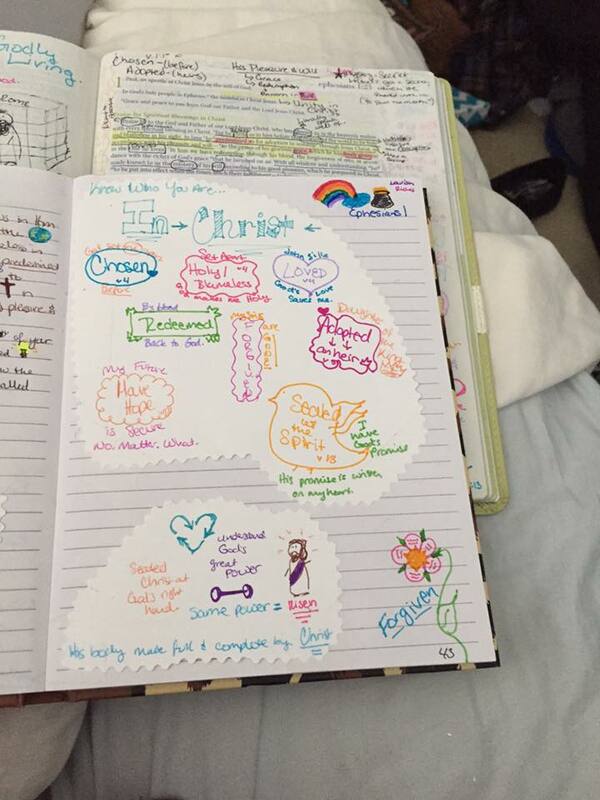 I have always taken notes & scribbled in my Bible also, then I came across Stone Soup for Five! I feel in love with the idea immediately. I crave getting into His Word &doodling, journaling just praising God! I teach inductive Bible study to kids, and we usually use Precept's workbooks. But THIS year, we're studying Revelation, and I'm using a lot of Bible journaling as part of their Observation. I am having so much fun preparing. 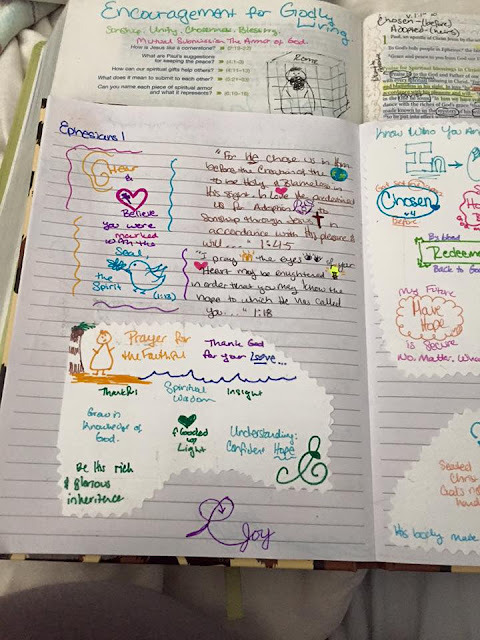 I have really appreciated your posts on journaling. I'm new to it, but I think it will really suit doing this study with kids. Thanks!